Want to lose 10 pounds in 3 days? The truth is that it's not a great idea to try and lose so much weight so fast. And, even if you do lose the pounds, 90% of it will be "water and waste weight"... not body fat! But, if you're reading this, you've most likely already made the decision to go for it. No matter what. So you might as well have an idea about how to go about losing 10 pounds in 3 days in the safest, healthiest way possible. The only thing you're going to eat for these 3 days are lean meats, eggs, fish, vegetables, fresh raw fruits, unsalted nuts and seeds, beans and legumes, and small amounts of healthy fats (e.g. virgin olive oil, unrefined coconut oil, natural peanut butter, and avocado). You'll also be consuming several lemons and/or limes so you might want to buy a big bag at the grocery store. You can eat one serving of low-fat cheese -- such as mozzarella "string" cheese -- per day but you'll want to avoid milk and other dairy products. The only thing you'll drink is plain water, unsweetened seltzer water, and sugar-free black or green tea. In general you're going to avoid all processed/refined foods, starchy carbohydrates, and fried foods. Absolutely no simple sugars or grain foods. That means no fruit juice, no honey, no breads/cereals/pastas/etc. (even the "100% whole grain" versions), nothing that comes in a box or bag, no potatoes, and definitely no fried or breaded foods. It's not always easy to avoid these fattening foods but, if you really want to lose 10 pounds in 3 days, it's a must! You're going to eat a fairly large breakfast, a medium-sized lunch, and a small dinner. You're going to eat a small, protein-based snack every 2-4 hours. You're going to focus on eating LOTS of high-fiber/low-calorie natural carbs, primarily from veggies, beans, and legumes. You're going to eat until you feel mostly satiated and then stop! 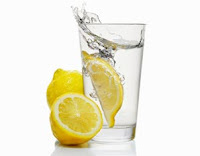 For at least one 24-hour period during these 3 days you should do a simple "lemon water" fast. During this time you'll consume nothing but pure water with the juice of fresh lemons or limes squeezed into it. You'll drink as much as you want and should aim for about a gallon of water in total! This is an incredibly refreshing natural "cleanse" that can help you lose 3-5 pounds all by itself. Even if you choose not to do the fast, you should drink a large (16 ounces minimum) glass of lemon water first thing each morning to boost your energy and jumpstart your metabolism. That's it! Follow the proven steps above and you just might be able to lose up to 10 pounds in 3 days. Good luck and be sure to leave your questions and comments below! csn you put the lemon powder in your water if you dont have lemons? it's zero calories? and thanks for the diet and do I need to exercise with the diet? ima try it starting today! NO JUNK FOODS!!! !